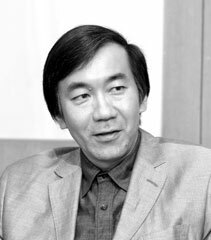 Tetsuya Takahashi (高橋 哲哉) is a professor of philosophy at the University of Tokyo and author of the best-selling book Yasukuni Mondai (The Yasukuni Shrine issue) (Chikuma Shobo, Tokyo, 2005). A list of his works is available in his profile on the website of Philosophy Department at the University of Tokyo. His current research interests center on problems of deconstruction, history and memory, and the Showa era.